" My parents, Rosemarie my German mother and Homayoon my Iranian father are my real life Heroes, they went through more difficult things in Life than I ever did "
" I was in Iran back in 1976, where my father was a surgeon and felt a great feeling of pride and compassion amongst Iranians, something that most people unfortunately do not see. " He has been around in Show business for some time now. 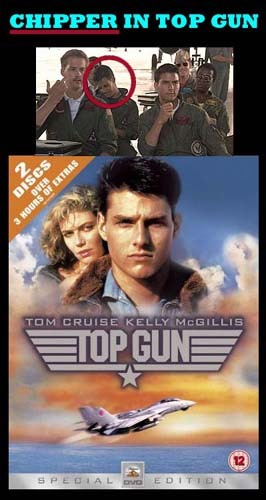 Despite a promising supporting debut in Tony Scott' International Hit film Top Gun with then rising star Tom Cruise in the title role, Adrian Pasdar took a more careful move toward the no less competitive world of Television. Little did he know then that this would not only lead him to leading roles in successful TV shows but would also turn him into a household name in the US and Europe particularly France, where the young Pasdar spent part of his youth. Kayvan Adrian Pasdar Father is Dr. Homayoon Pasdar, who was born in Iran and works as a surgeon near Philadelphia. His mother, Rosemarie Sbresny, is a native of Germany who worked as a nurse and then became an English teacher in France. She currently owns a successful travel agency. Younger sister, Anamarie Pasdar, worked as an artistic director/associate producer for the SoHo Rep Theater Company in New York City. 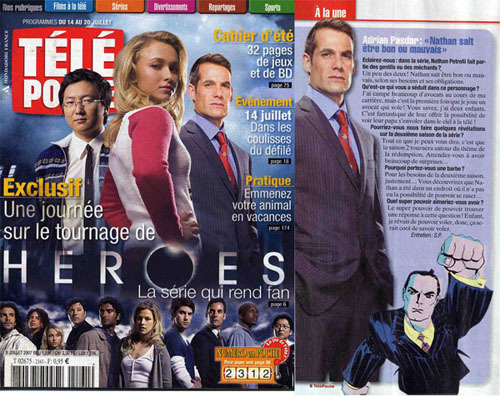 Now the straight jawed good looking Adrian Pasdar is becoming something of a cult Hero for aficionados in France. 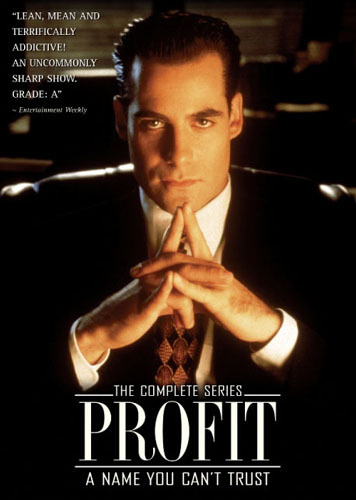 Noticed as Jim Profit in the 1996 series of the same name playing a shrewd businessman lawyer, the film, first aired on cable TV and has done amazingly well since with its DVD release. He is now back in an equally shrewd but more ambiguous role of the ambitious politician Nathan Petrelli in the NBC series Heroes. Interestingly the role is far more complex and attractive than his clich� suave looks seem to suggest. Pasdar's personality will evolve throughout the first season and rally the viewers admiration and awe in the long run. Heroes is an American science fiction drama television series, created by Tim Kring, which premiered on NBC on September 25, 2006. The show tells the story of several people who "thought they were like everyone else... until they woke with incredible abilities" such as telepathy, time travel and flight. These people soon realize they have a role in preventing a catastrophe and saving mankind. The series follows the writing style of American comics with short, multi-episode story arcs that build upon a larger, more encompassing arc. Even with small story arcs that move the story forward, Kring said "we have talked about where the show goes up to five seasons". When the series premiered in the United States, it was the night's most-watched program among adults aged 18-49, attracting 14.3 million viewers overall and receiving the highest rating for any NBC drama premiere in five years. 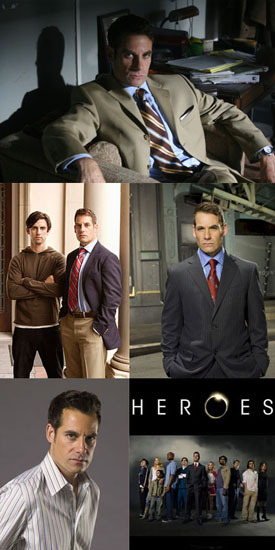 On October 6, 2006, NBC Entertainment President Kevin Reilly announced Heroes had been picked up for a full season, and on January 17, 2007, Reilly announced Heroes had been picked up for a second season. The second season of Heroes will consist of 24 episodes, and the first season of a new spinoff, Heroes: Origins, will include six episodes. The plot of Heroes is designed to be similar to the stories of comic books. Like comic books, Heroes has large overall arcs and small arcs within the main arc. No matter what characters exist and what events make up a season, all seasons of Heroes will involve ordinary people who discover their abilities and their reactions to their self-discovery. Each episode reveals new answers and questions and progresses the story and/or the characters. As for Nathan Petrelli portrayed by Adrian Pasdar has the ability to fly. Nathan possesses the power of self-propelled flight. He is one of the characters that has least demonstrated his power in the series, saying that he is afraid of both being seen as a freak and taken in for scientific study. In contrast, however, he also demonstrates a great deal of control over his power. Nathan can reach speeds exceeding the sound barrier with no apparent physical effects. Nathan first discovers his power when he inadvertently uses it to save himself from a car crash which leaves his wife wheelchair-bound. The first on-screen flight is in "Genesis", when he attempts to save Peter from falling to his death. He also uses flight to save a woman from a burning building in an issue of the Heroes webcomic. 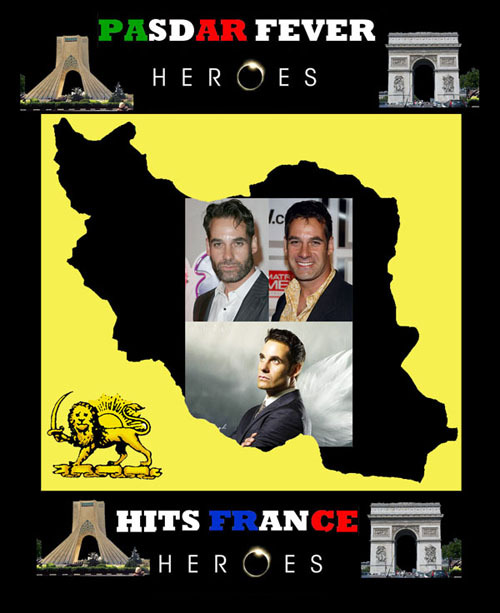 In France, the theme music of Heroes is composed by Victoria Petrosillo. Her song "Le H�ros d'un autre" is used by television network TF1 to replace the show's original incidental music. Moreover, the network had to create an opening credit sequence in order to play Petrosillo's theme song. "My father is a plastic surgeon. Both my Parents are truly my heroes. They were capable of having one dream when they were young and ultimately reached it. My mother was Russian ( German) and my father Iranian. Dad was already a successful surgeon in Iran but when he came to the US he had to start all over again, cause they would not give him a work permit. 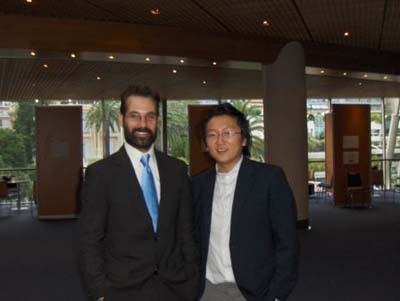 Although he hardly spoke English, Instead of being discouraged he asked for a chance to retake his medical exams again. The examiners tried to trick him but he succeeded a 100 % to their astonishment. I'm not afraid to say that my father is a genius but more importantly he taught me compassion. My mother also went through a lot of hardships when she was younger. She lived through WWII and her father was assassinated. What I really want to say through this, is that my parents certainly went through more difficulties than I ever did as a kid growing up." About the Author: Darius KADIVAR is a Freelance Journalist, Film Historian, and Media Consultant.